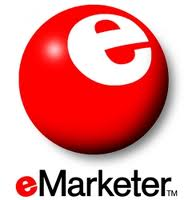 eMarketer develops digital travel sales estimates as a subset of business-to-consumer (B2C) ecommerce for 19 global markets, and according to our January 2014 forecasts, only three of those markets will still see double-digit growth rates by 2017: China, India and Italy. China’s robust 20.0% growth rate will be a significant outlier, with Italy and India increasing at 11.5% and 11.1%, respectively. We expect Spain to be the only other country growing faster than 7% in 2017.
eMarketer estimates that only four markets will see travel increase its share of B2C ecommerce between 2012 and 2017: Italy, Brazil, Finland and South Korea (the latter seeing a marginal 0.2-percentage-point increase)—while each of the other countries in our forecast will see travel lose share over the period. via Digital Travel Sales Mature Worldwide – eMarketer. This entry was posted in Digital Marketing, Online Travel Agency, OTAs, Travel Industry Reports and tagged E-commerce by The Travel Marketing Store. Bookmark the permalink.